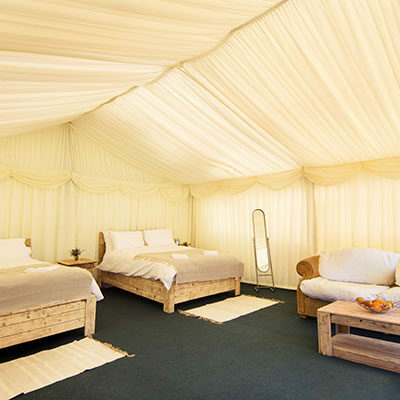 All Retreat guests require official Badminton Retreat Admission badges to access the event and The Retreat glamping site. N.B. 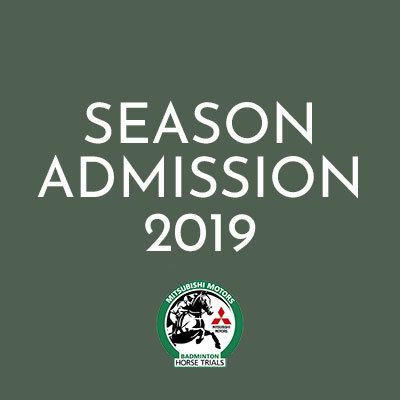 Season admissions and car park passes will be sent out from mid April 2019 onwards. Accommodation will be available from Tuesday the 30th of April.  Badminton Horse Trials take place from Wednesday 1st to Sunday 5th May 2019. Please note that if you are an Official, Owner, Exhibitor etc. and will already be in possession of a Badminton Car Pass and Admission then you will not need to purchase badges to gain admittance. Season Admission Badge for Badminton Horse Trials 2019. One Badminton Retreat Admission Badge per guest – children under 12 are free. 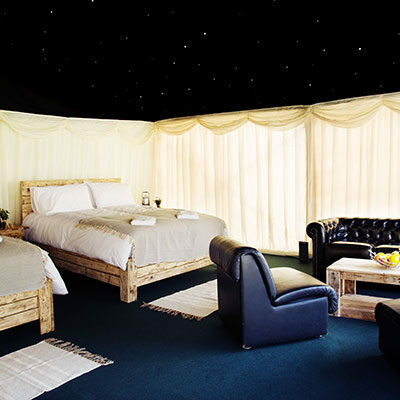 All Retreat guests require a Badminton Retreat Admission Badge to access the Three Day Event and The Badminton Retreat glamping site. Guests are welcome to arrive at The Badminton Retreat from midday on Tuesday the 30th of April. 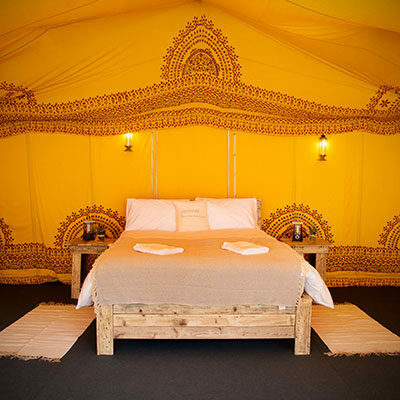 We are proud to be the official on-site luxury glamping site for the Mitsubishi Motors Badminton Horse Trials 2019. Please remember to also purchase a car park pass to gain access to The Badminton Retreat parking area. Please note that if you are an Official, Owner, Exhibitor etc. and will already be in possession of a Badminton Car Pass and Admission then you will not need to purchase Badminton Retreat Car Pass and Badges to allow entrance to the Badminton Retreat Car Parking area.